Cosmed Group offers a range of food pasteurization and sterilization technologies to support a wide cross section agricultural commodities, foods and medical products. Select a technology below to learn more. For medical devices and spices and there is no more widely used technology than ethylene oxide and no company with a longer history providing equipment and services than Cosmed Group. 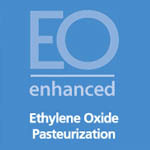 If your customers demand all natural pasteurization you now have a choice. 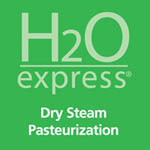 For nuts, spices and agricultural commodities of all kinds there is no better certified organic pasteurization technology than H2O Express™. 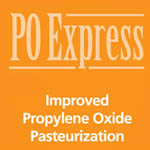 Walnuts, almonds, pecans, macadamia nuts, hazelnuts, pistachios... you name it, propylene oxide can be used to eliminate pathogens. 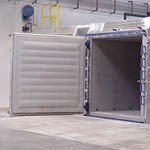 For companies that want all natural, but can’t use steam, dry heat is the technology of choice.